Marvel and Netflix’s shared TV offerings went all-out with their Comic-Con panel this year, showing off hints and footage from almost every single Marvel Netflix Original. The upcoming Luke Cage was the focus of the show, obviously, with a star-studded panel talking up the series and its September debut. But Marvel was also ready to push its wider streaming agenda, as evident from the panel’s beginning segment, when Jon Bernthal stopped by just long enough to confirm that that Punisher standalone series was still in the works. Marvel continued to pepper in news about their wider plans throughout the event, with the company’s Joe Quesada eliciting cries of joy when he confirmed that Daredevil season 3 was on its way. The company also showed off the first extant footage of the still-developing Iron Fist (which, unlike most of the company’s Comic-Con output, hasn’t made its way online), reportedly showing a largely dialogue-free scene of Danny Rand (Finn Jones) punching some walls. Netflix and Marvel saved their most exciting tease for last, though. Both companies have been keeping their lips sealed about The Defenders, the long-discussed Avengers-esque maxi-series that’ll bring its four street-level heroes—Daredevil, Jessica Jones, Luke Cage, and Iron Fist—together for a single, massive event. The company closed the panel with the first teaser for the series, forming its title from pieces of the logos from its four previous shows, while Nirvana croons in the background, and Daredevil’s mysterious mentor Stick (Scott Glenn) asks, “You think the four of you can save New York? You can’t even save yourselves.” (It’s not clear what, exactly, they’ll be saving New York from, although the ominous shape of a giant Hand in the trailer’s background suggests Daredevil’s ninja nemeses from the comics will possibly be involved.) 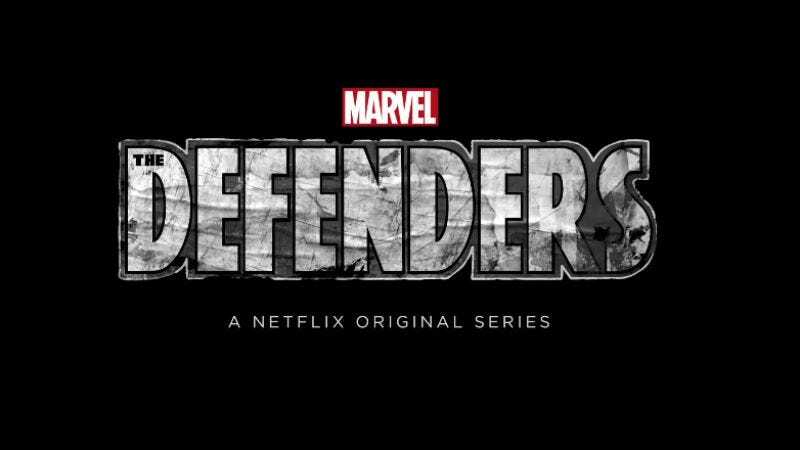 The teaser ends with an announcement that The Defenders will arrive, personal baggage in tow, some time in 2017.